Splento offers the best value for money professional photography service in London. Where else can you find amazing headshot and portrait photograpehrs at £49 per hour? Two hour event for £98? Food photography for £147 for three hours? Sure, no problem! No surprise that our most popular all-inclusive Splento PRO Package of £299 has been used by countless stratup founders and it's only logical for us to offer a special discount in Barclays Accelerator Founders' Pack. Our £299 PRO Package includes up to five hours of shooting, copy of all raw files on a USB-flash drive, commercial use copyright assigned to you, up to 100 photos retouched and delivered in an easily sharaeable online gallery. This PRO Package would cover everything, from team photos to any event you may have, conference you take part in, social media stock photography (yes, you can just send our photographer and ask them to take lots of photos of various objects/events/venues for your social media photobank), product photography for e-commerce businesses, supply-side photography for marketplace startups, etc. The world is your Oyster. And the best part? Yes, we are on demand! We have photographers available whenever and wherever you need them. 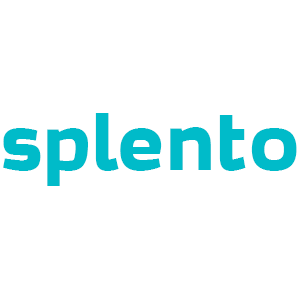 To get your Barclays Accelerator Founders Pack 35% Discount and book our £299 PRO Package for only £195, please email us on splento@splento.com with the details of where and when you require our photographers and what's the occasion and we'll take care of everything else. Photography Industry is a very competitive industry in London. There are lots of amazing Photography Industry photographers in London with a whole range of offers, different prices and availability. Where else can you find the best photographers in London from £195 per session and photos delivered in 48 hours?